The 2019 season will bring the first national championships under the new Rules of Golf. John will discuss how the tournament staff is preparing and share other exciting initiatives from the USGA. Dan spent the 2018 PGA Tour season walking with Tiger. A prolific writer in Golfweek’s digital space, he’ll share his unique perspective on golf, the Tour, and Tiger’s chances at a major in 2019. Frank keeps his hand on the pulse of the golf industry through his consulting work and planning services with clubs throughout North America and Asia. He’ll share insights into the trends and issues affecting the private club industry. Golf Courses can be prime locations for cardiac episodes. Courtney will outline the steps to ensure CPR and AED training staff members. Attendees to the Golf Summit include local golf course and club leaders, decision makers, and employees. In addition, members of the allied golf organizations throughout the state, including the NJSGA, New Jersey PGA, Golf Course Superintendents Association of New Jersey, New Jersey Club Managers Association look forward to this annual event. In addition to the presentations, ample time is allotted for questions and answers and a post-event reception is available for networking purposes. 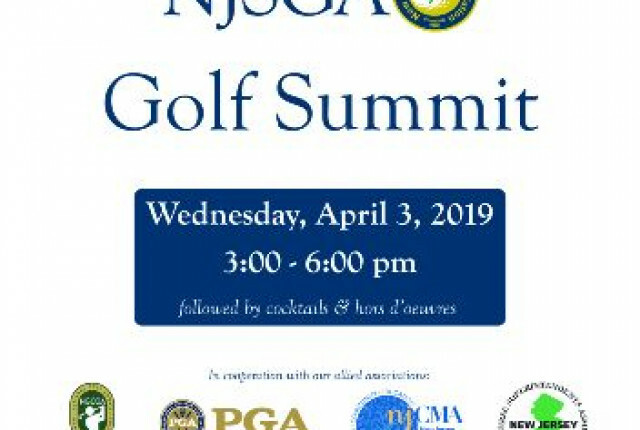 It is an early season "can't miss" event for those involved in club governance and leadership - as well as those interested in the current state of golf in New Jersey.